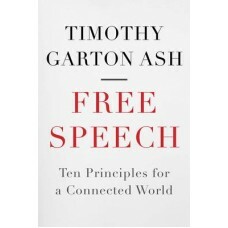 Following the Obama administration’s historic suppression of government whistleblowers, Donald Trump’s repeated attacks on the media, and controversies on college campuses nationwide, Timothy Garton Ash’s Free Speech: Ten Principles for a Connected World is well-timed. Garton Ash offers a wide-ranging exposition on the right to self-expression and a coherent defence of free speech from an explicitly liberal point of view. Socialist theory and practice has never satisfactorily established the place of free speech in the struggle for social transformation and in a future socialist society — all the more reason to seriously grapple with the challenge posed by Garton Ash’s new book.